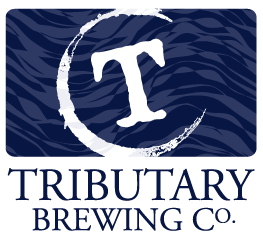 Home » visit breweries » Tributary Brewing Co. 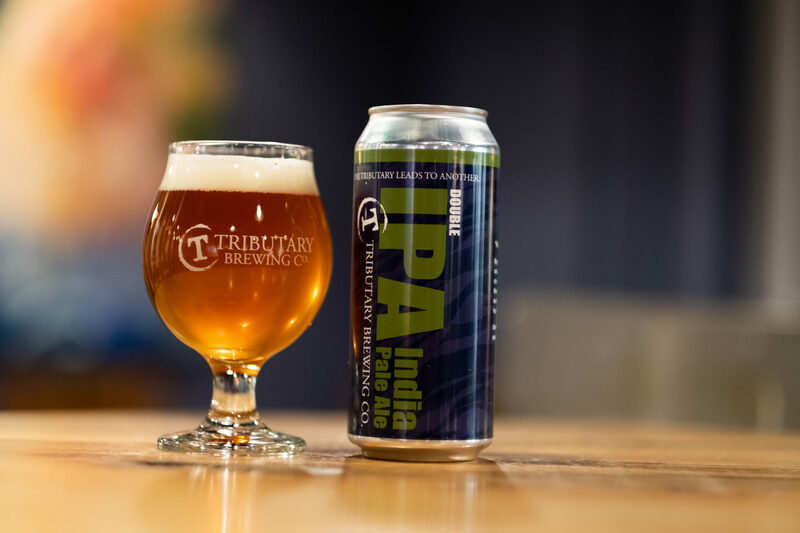 Founded in 2014, when Tod Mott, legendary New England brewer, and his wife, Galen, decided to open their own brewery. Join us for tastes of our ever-changing offering of brews. Enjoy a flight, 4 ounce pours of the beers on tap, or 12 ounce glasses of your favorite. 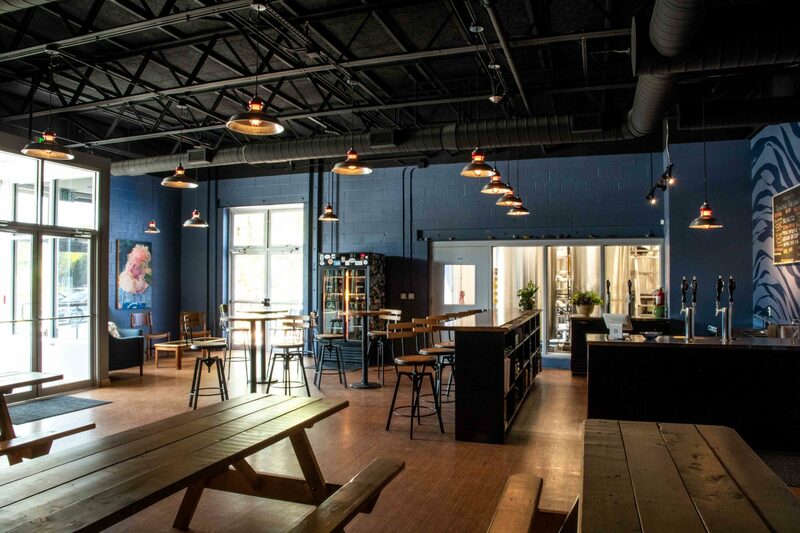 Our tasting room is large with a calming décor that evokes a cool pool of water. Sit at a long communal table with your friends or family, or meet your neighbors from near or far. Our bar overlooks the bright stainless tanks of the brew house, and our deck is available for outdoor seating April – November. 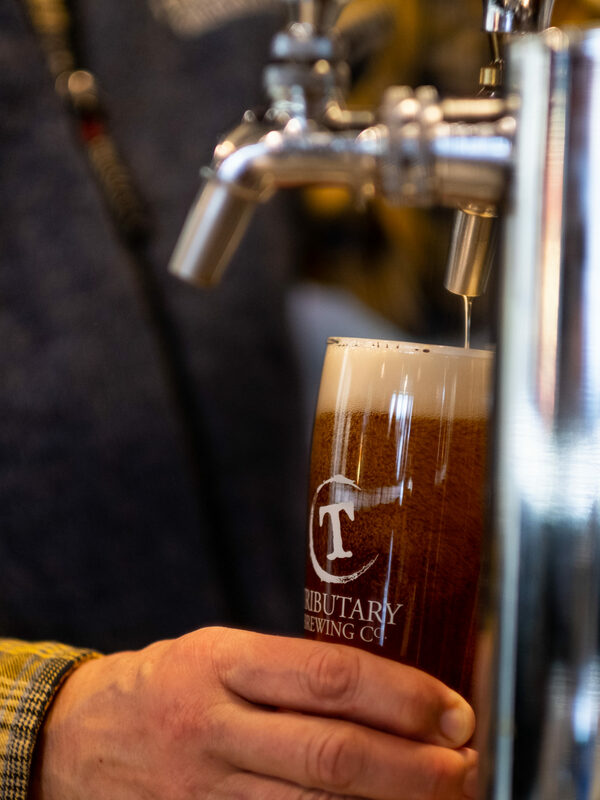 Our staff is friendly and knowledgeable about the beer and the beer-making process. Bring in your own food, whether snacks from home or one of the great food establishments in Kittery. Tap your toes or sing along with performers on a weekend afternoon.